Here is an interesting fact that many folks don’t know: Alaska is one of the most-desired destinations for rental RV travelers! This is a state like no other, with its magnificent mountains, the intriguing glaciers and the lush, green forests that cover the land as far as the eye can see. 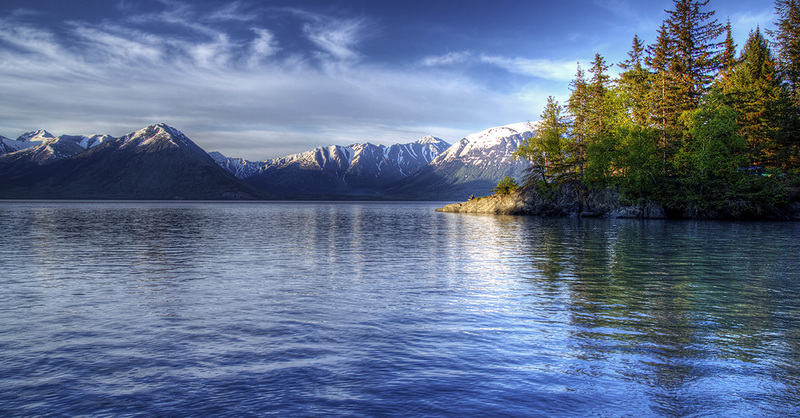 Otherwise known as The Last Frontier, Alaska hosts close to three million visitors every year. There are plenty of ways to see our 48th state, but none of them compare to the experience of doing it in one of our RV rentals from our Cruise America location in Anchorage. If an Alaska RV trip is a goal of yours, then prepare to embark on one of the most adventurous RV trips you can imagine. While so many folks want to do this, so few of them end up actually going. It seems like such a faraway, lofty goal, but Cruise America makes it easy. First, you must decide if you are going to be gone for a few days, a week, a month or longer, then develop a game plan. This will help you plan on seeing all of the national parks and landmarks that you’d like to visit. It will also help you determine what you need to pack and how much money you’re going to need on your journey. Be sure to include the cost of food, attractions, and parking expenses. Also, you’ll want to be sure to mark all of the gas stations so that you don’t run out of gas. Believe us, you DON’T want to run out of gas! Having an itinerary will also help you to keep from getting lost and wasting miles. Day one begins in Anchorage, which happens to be the largest city in Alaska, as well as the home of one of Cruise America’s RV rental centers. There, you can visit Lake Hood, the world’s largest floatplane base. You may wish to take a chartered flight to the Denali National Park and Preserve, which is world-famous for the number of bears that travelers get to observe. The second day of the tour includes Whittier, a quiet little seaside town that is known as the Gateway to Prince William Sound. To get there, you’ll drive your RV rental through 140 acres of beautiful parkland where the Alaska Wildlife Conservation Center is located. They have dedicated their resources to the preservation and treatment of orphaned or injured animals. 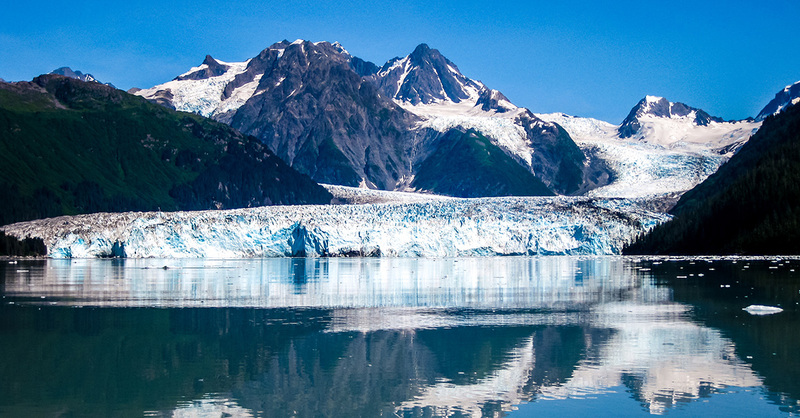 The third day of your five-day Alaska RV adventure will take you onto the ferry over to Valdez to see the world’s largest tidewater glacier, Columbia Glacier. This mammoth glacier dumps more than 13 tons of ice into the ocean every day of the year! You can also take a kayaking trip into the fjords. This little town of 4,000 people is virtually a land of waterfalls because of its epic levels of snow in the winter. Day four you may wish to visit the fishing community of Cordova. This is where you’ll find Child’s Glacier, the Cordova Historical Museum and the Million Dollar Bridge. Some of the town’s most popular activities are boating, river rafting, fly fishing, biking, hiking, glacier viewing and extreme skiing in the winter. There are also some unique festivals throughout the year, such as the Shorebird Festival, the Iceworm Festival, the Copper River Wild Salmon Festival and the Girdwood Fungus Fair. Yep, you read that last one right! On day five, the last day of your adventure, you can ride the ferry back to Whittier to begin a journey down the 50-mile stretch of the beautiful Seward Highway where it meets Hope Highway. Here, you can visit the town of Hope, which is a community right out of the gold rush days. Then, hop into your rental RV and head to the town of Porcupine. It’s a ghost town and former mining community where you can park your Alaska RV rental in a campground located on a bluff above Turnagain Arm. This is just a small sampling of the places to go and the things to do in one of our RV rentals as you travel through Alaska. While the scenery is nothing less than magnificent, the journey with your family and the memories that are created make it a priceless experience.